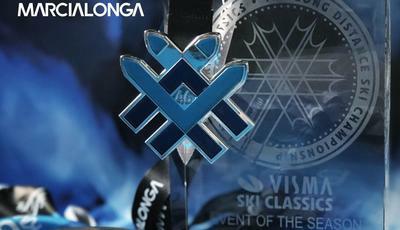 On 27th January Marcialonga will celebrate the 46th edition of a long history. This year there are all sorts of champions at the start – both champions of the past and today's champions – including Olympic stars of other sports. But Marcialonga means first and foremost Valle di Fiemme and Fassa, a metaphorical union that has been completed well in advance. President Angelo Corradini can proudly announce that the 70 km track from Moena to Cavalese has been completed. Everyone is now waiting for the first snowflakes, which could fall in the next days, because, you know, a snowy Marcialonga is something special. 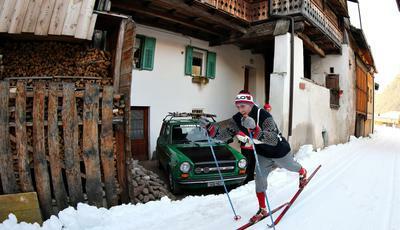 There will be 7,500 cross-country skiers, many of them will be "bisonti", i.e. 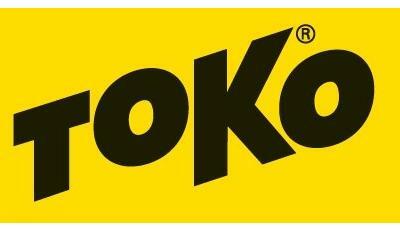 a nickname for the amateurs of Marcialonga. 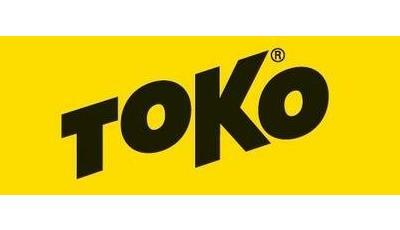 But among them there are some people that have made the history of sport, both in Italy and in the world: the Olympic cycling champion Paolo Bettini, the Olympic cross-country champion Cristian Zorzi, the Olympic canoeing champion Antonio Rossi and the Olympic rings champion Jury Chechi, and the former goalkeeper of the Italian national team Francesco Toldo. At the start there will be also the Swedish rock singer Anders Wendin and the former Swedish footballer Patrik Andersson. The overall standings of Visma Ski Classics - international long-distance cross-country skiing cup competition - see Petter Eliassen in first place, who is back after stopping for some time; he is already in great shape. His teammates from Team BN Bank are impressive as well: Simen Oestensen is in second place and Morten Eide Pedersen in third. Gjerdalen's team has been dethroned (the Norwegian is currently in 6th position). 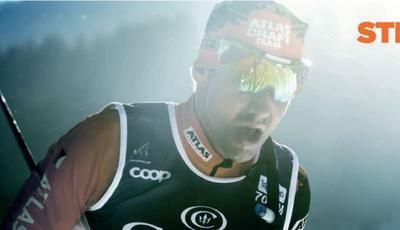 Andreas Nygaard is seventh, the winner of the past Marcialonga Ilya Chernousov is ninth. Mauro Brigadoi and Francesco Ferrari are 25th and 28th. "Marcialonga is all I’ve been thinking about during the year", said the winner of the 2015, 2016 and 2017 editions Tord Asle Gjerdalen – he won two world gold medals and two bronze medals, one of each obtained in Val di Fiemme: "Last January I wasn't strong enough on the climb of Cascata – said Gjerdalen – it wasn't really my day and now I'll do everything I can to train and come back stronger". In the race there will be also the veteran and teammate of the 'sergeant' with Ray-Ban, Anders Aukland, Olympic and world gold medallist: "Marcialonga is undoubtedly the most important race of the year, I hope that our team can do well". There are several 'challenges in the challenge' within the ski marathon, such as the one that will involve the Swiss Giachem Guidon, bib number 2599, and Andi Grunenfelder, bib number 2690, the latter also Olympic bronze medallist. The parade of champions and former champions will also see Aleksandr Panzinskij, Olympic silver, at the start, together with Alexandr Legkov, another Olympic champion. 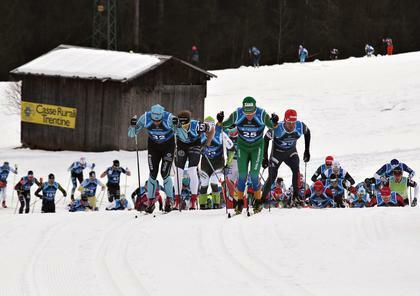 Jerry Ahrlin, three times winner of Marcialonga (2007, 2009, 2011), the Swedish Jörgen Brink, the Czech Stanislav Rezác and the world champion Anders Gløersen will be present as well. The women’s overall standings see the Swedish Britta Johansson Norgren in the lead; but this time she has a smaller gap to her chaser Astrid Oyre Slind, sister of the World Cup athlete Kari Oyre Slind. If she were to improve in the final rush, Norgren's first place would not be so safe. Third place to the always excellent Katerina Smutna, fifth Justyna Kowalczyk who could attack the double poling specialists at Marcialonga. Chiara Caminada, several times winner of the combined Punto3 Craft, is sixteenth in the overall standings. The excitement is incredible, both for Italian cross-country skiers and for international athletes, because Marcialonga is the most coveted challenge of the year; the people of Fiemme and Fassa will welcome everyone, making they feel at home even if they come from very distant countries. 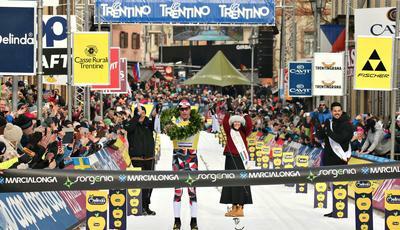 Marcialonga is - now more than ever - the capital of cross-country skiing in the world.